Linda Goldbloom died tragically after the freak accident. 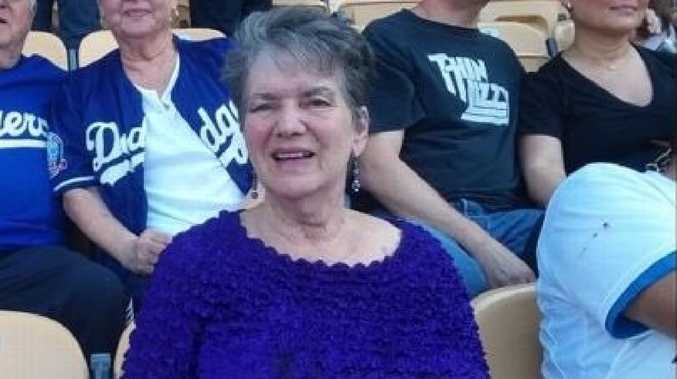 A WOMAN died after being struck by foul ball at Dodger Stadium in Los Angeles last August, but her cause of death was not revealed until this week. ESPN's Outside the Lines reported 79-year-old Linda Goldbloom was hit in the head by a foul ball when the Los Angeles Dodgers played the San Diego Padres on August 25. She was struck in the top of the ninth inning when Padres outfielder Franmil Reyes fouled off a pitch from Dodgers closer Kenley Jansen. The Los Angeles County Medical Examiner-Coroner confirmed this week that Miss Goldbloom died of blunt force trauma and acute intracranial haemorrhage. The woman and her husband, described as longtime Dodgers fans, were in their seats in the lower level on the first-base side. "Ushers came down and asked if she was all right, and she said no, then EMT came and rushed her to the hospital," her daughter, Jana Brody, told ESPN. Speaking to the Washington Post, Brody called for better protection at stadiums. "It's heartbreaking for all of us," she said. "It was pretty rough. This was definitely not a ball that could be dodged or caught. "We're just hoping that they'll double-think this. Why not make the nets higher? Let's take another look at this antiquated law that protects teams." Goldbloom and her husband Erwin were at the game to celebrate her recent birthday and their 59th wedding anniversary. They were joined by two family members. Erwin reflected on the tragic incident this week and said his life hadn't been the same since his wife died. "It just was one that was a real hard line drive, it came very fast, just barely cleared the screen and hit my wife in the head," Goldbloom told KTLA. "I don't even like to go to the places in the neighbourhood where we used to go to the restaurants, because it's not the same." Last season, all major league teams extended protective netting at their stadiums, but Goldbloom's seats were just beyond the area that had the netting. ESPN reported she became the third fan killed by a ball that left the field at a major league stadium. One fan died after an incident at Griffith Stadium in Washington in 1943, the other at Dodger Stadium in 1970.